Certainly, the Ottawa Senators had a problem. Despite a magical run through the playoffs, against marquee teams like Boston, New York, and Pittsburgh in a hockey-mad market, they couldn’t sell out their building on a regular basis. In most NHL cities, that would be embarrassing. In a Canadian NHL city, it’s downright baffling. Erik Karlsson, asked if he noticed all the empty seats at Canadian Tire Centre last night: "Yes." The Senators have admitted their problem, and on Thursday, revealed how they plan to fix it. The problem? Their home arena is too big. The plan? They’re making it smaller. #Sens president Tom Anselmi also confirms that approximately 1,500 seats have been removed in order to “right size” the building. The Canadian Tire Centre’s issues are well documented. Instead of being located downtown, it’s surrounded by farmland in Kanata, which is a pain for many people to get to. Ottawa averaged 16,744 fans per home game in the regular season, ranking them 21st in the league. That’s well below the 18,500 maximum capacity. The new capacity of 17,000 ranks the Canadian Tire Centre third-lowest among NHL arenas in total capacity. The Sens will get made fun of for this move, but in actuality, they’ve made a smart forward-thinking move. They’re a small market with an arena in an inconvenient location. Their arena should reflect that. Having a full arena is massively important for not only the image of a team, but for the atmosphere in it. Lowering the capacity will help boost the demand for tickets, meaning the team should be able to charge more per seat. 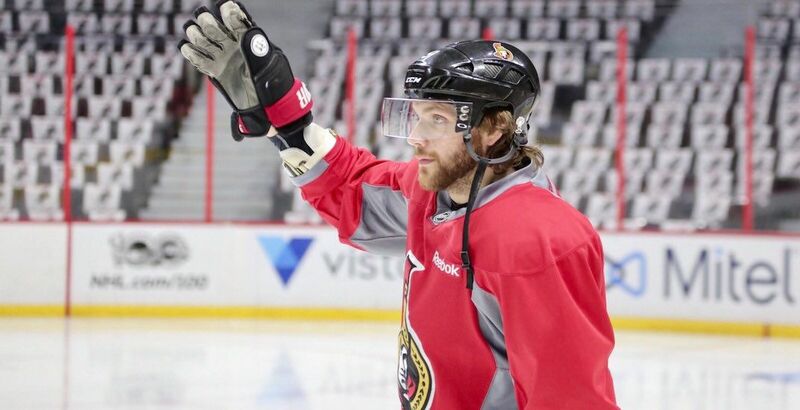 The Sens look silly today, but they’ll look smart in the future.